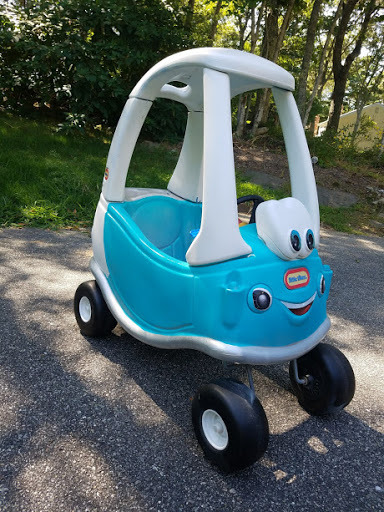 At the beginning of the summer, we decided it was time to makeover my daughter’s old cozy coupe to give to my son. 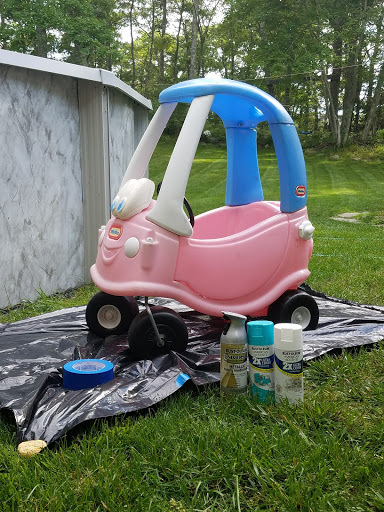 I knew I wanted to customize it to match my father’s antique 1955 Chevy BelAir so I set out to do one of the most fun DIY projects I’ve ever done. I hope this tutorial helps others looking to do the same! 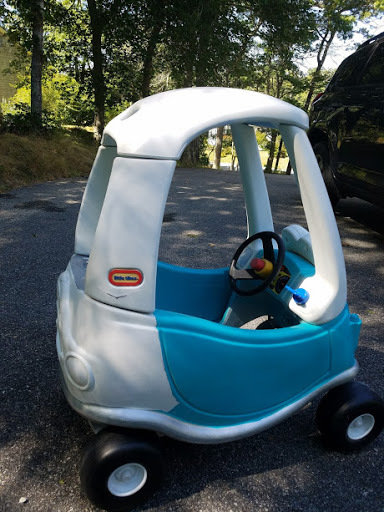 Step #1: Tape up anything you don’t want to be painted including Little Tykes emblems, the steering wheel, and the tires. 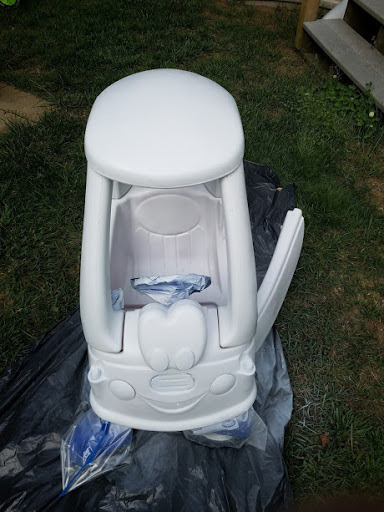 Step #2: Apply base paint color. I started with the white as the white section would be easiest to tape up. Step #3: Tape up anything you want to keep the base paint color. 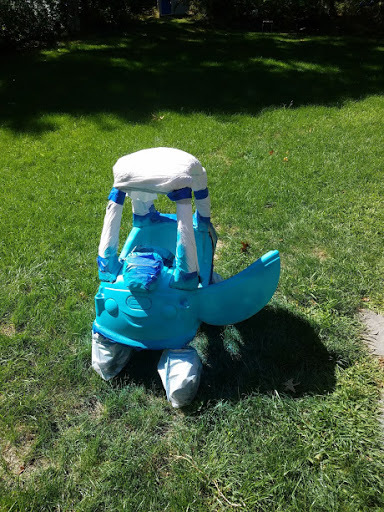 I used trash bags to cover larger areas. Apply the second color. 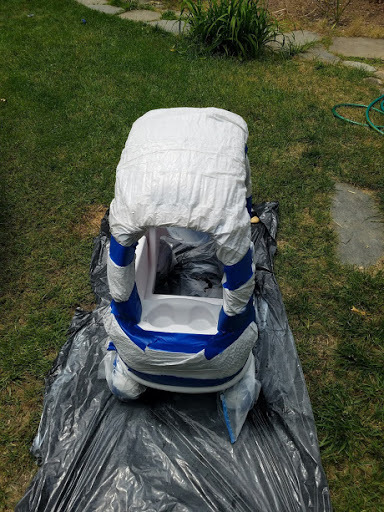 Step #4: Repeat taping anything you want to remain the prior color with trash bags to cover large areas for any subsequent colors and applying spray paint. I highly recommend this project. 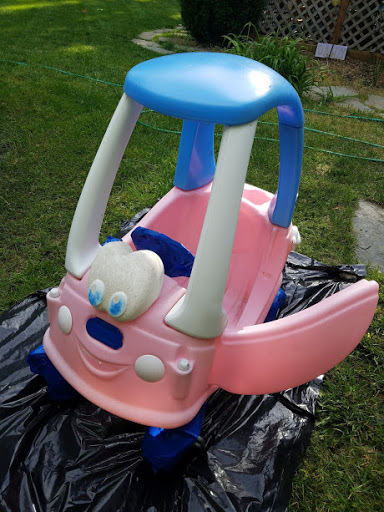 It was very easy and simple to bring an old ugly toy car to look brand new!